As this goes to press, it is Friday the 13th, National Collector Car Appreciation Day. Congress has honored all Gearheads by making this our special holiday. We hope it was special for you. 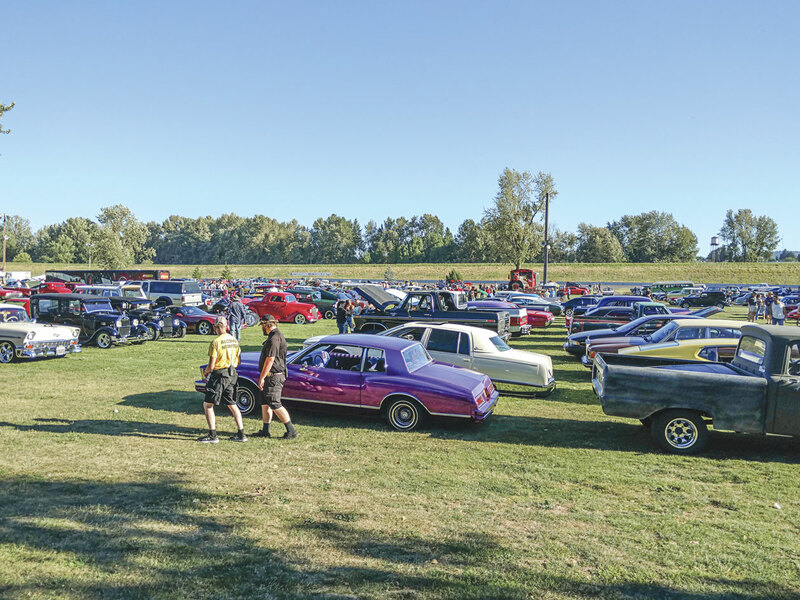 The Wednesday night Beaches cruise-ins opened out at PIR June 6th. And what a Whopper it was, reportedly over 1800 cars in attendance. Unfortunately I have no coverage of this event as the pixel 2 work phone holding thatinfo, mysteriously disappeared Into Thin Air out there. #GearHeadsWorld is still on the lookout for it. Another Tesla Model S has gone up in flames. This one belongs to a movie star who had parked it on Santa Monica Boulevard. Some of you may have seen the viral video. in the meantime, Elon Musk has fired a load of his mid-level managers. Looks like he is trimming things down. Next we have a self-driving Uber that has fatally killed a bicyclist. The driver was behind the wheel streaming “The Voice.” Charges have been brought. Speaking of bicycles, did you hear the one about the Motorcycle Company who goes back to building bicycles just like they did a hundred years ago when they started? Yep, we are talking about Harley. It seems that the bubble has burst that consisted of the successful baby boomers who climbed aboard their Harleys in the wake of the tremendously successful Discovery show American Chopper which has also settled back down to earth. Now Harley is looking at the millennial yuppies who don’t want motorcycles. They prefer Nifty bicycles so Harley will be supplying them. They won’t be cheap. You will have to drop around 4 Grand for one. So, now the word bike will have a whole new meaning for Harley. We like to put in a good word for the RPM bill which continues to be successfully lobbied. Now we have a new wrinkle, it seems that EPA administrator Scott Pruitt, has resigned under pressure. Now we wait to see how all that shakes out. Now, here is our high performance news of the week. And this, most definitely is a harbinger of things to come. The Pikes Peak competition has recently wrapped. There has been a world record run hosted by an electric car. This was the VW l. D. R electric car. It posted a 7. 57 at 148 mph, which is the fastest run for any kind of vehicle ever! In conclusion we would like to make mention of The Rockin Around The Block cruise in which is coming right up in Gresham. This is the event put on by the Northwest Motorsports Association to benefit the Mount Hood Community College automotive department. Hot rods will take over the entire downtown for the entire day on Saturday August 11th. Posted in Car Shows, Cruise-Ins.